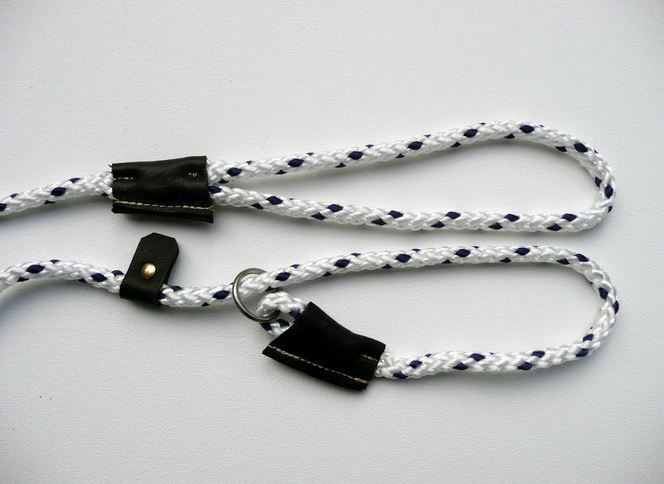 Soft feel lead, 8mm hand made from multi-plaited polyester rope. Comes with rubber fittings. Good choice of colours. White with blue fleck, green with blue fleck, red with yellow fleck, royal blue with red fleck, yellow with red fleck. Looped handle and an adjustable neck stop. The deluxe leads come with hand stitched leather trim.